My worm bins are made from wood material. I follow Pauly's video "Setting up a worm bin using a wooden flow through system" at https://www.wormfarmingrevealed.com/flow-through-worm-bins.html. I want to ask about how optimum tall is the worm bin? First, I made it with 9 cm (3.5 inch) tall and after several months, the castings are too much (I think) and too compact. The bin is heavy when I lift. So, I made a new worm bin with tall about 4 cm (1.5 inch) and I still wait the harvesting time. 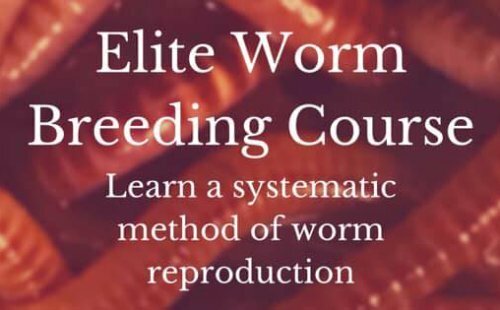 Now, I need some help from experienced worm farming like you Pauly and others. Comments for Flow Through System: How optimum tall of each worm bin? If the wooden trays are too heavy for you to lift then I would suggest that you harvest your trays sooner and not stack them so high. You can stack as tall as you'd like as long as the wooden trays will support the weight of the castings but all within reason. I would also advise that you simply start another worm bin system and maybe a bit smaller so that you may eventually go higher with the system. The higher you go (within reason) then the more worms you can house. when you get too high then you simply need to start another worm bin system. How tall your bin gets is really a matter of your ability to handle the trays. This can very from worm farmer to worm farmer. If we look at the Worm Factory it can handle up to 8 trays but you'll never catch me lifting all 8 trays. I'm not THAT strong either Yoseph. An optimum tray level for the wooden flow through systems is probably 5-7 trays. Because the lower trays will have cocoons that will need to hatch and the baby worms will need to make their way up to the next couple of trays to find the food. Any trays below the cocoon level is just worm casting storage in which you may want to dump into a separate holding system so that your worm tower doesn't become too high. I hope this is the answer you were looking for. I would love to see your pictures. You can always upload them here for all of us to see your worm system. I added a new tray to my worm farm that was filled with half decomposed compost. I felt guilty laying such a heavy tray on them. I was wondering if this will squish them to death or if they can handle a little weight. I’d say it was about ten lbs.